Saturday, I was in one of the flower beds, doing some planting and a little weeding (very little). 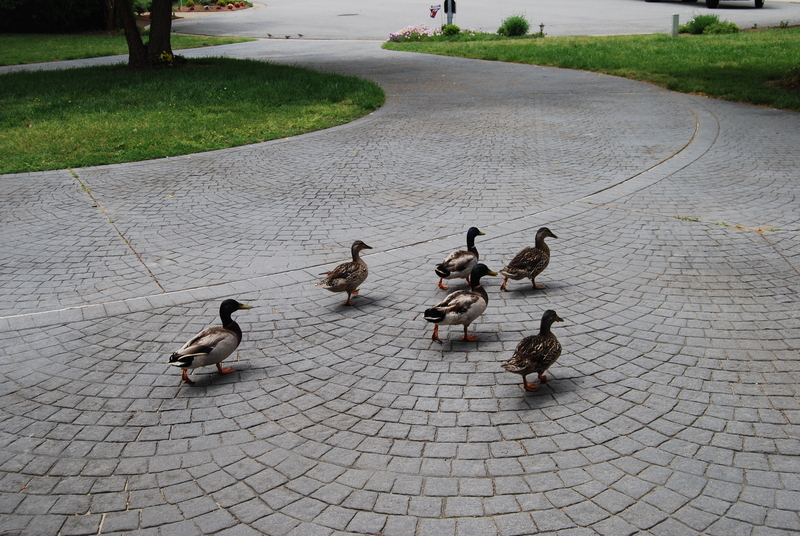 Now and then, I would hear a sort of clucking noise, but didn’t think anything of it. 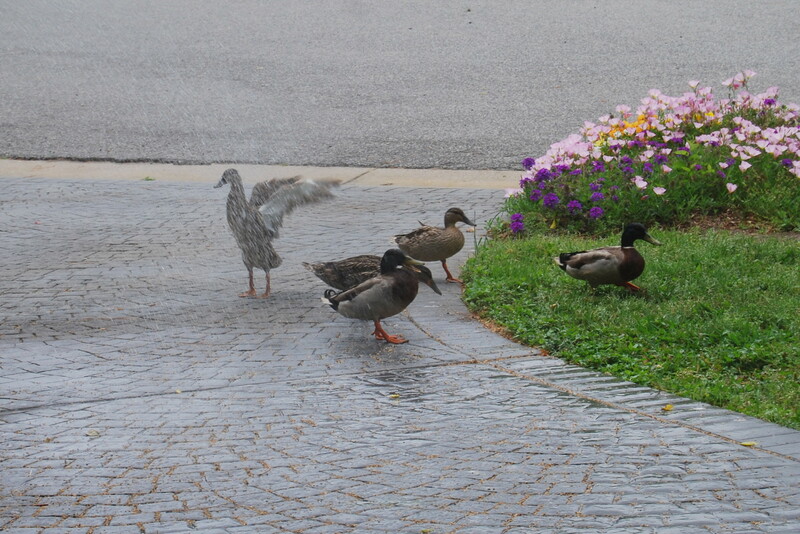 Three duck couples. And yes, they were this close to me. 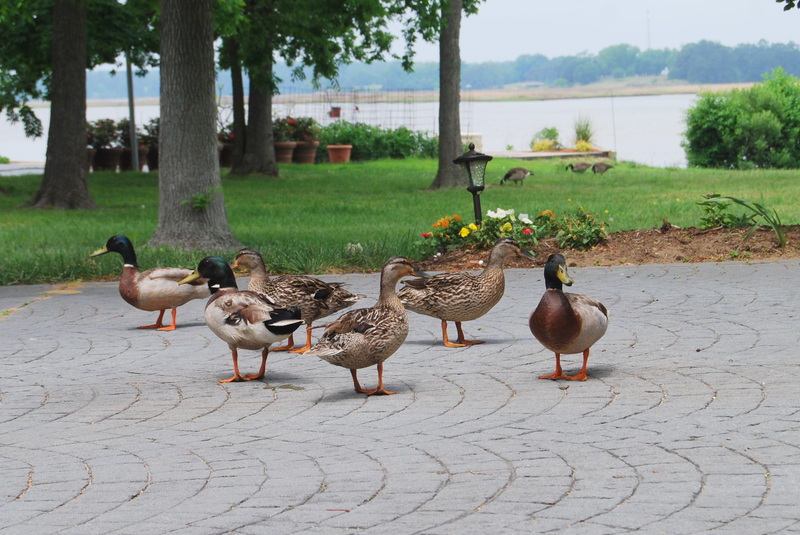 They were so interested in what I was doing, they must have thought it meant something for them to eat. After realizing that wasn’t the case , they decided to hit the road in search of food. 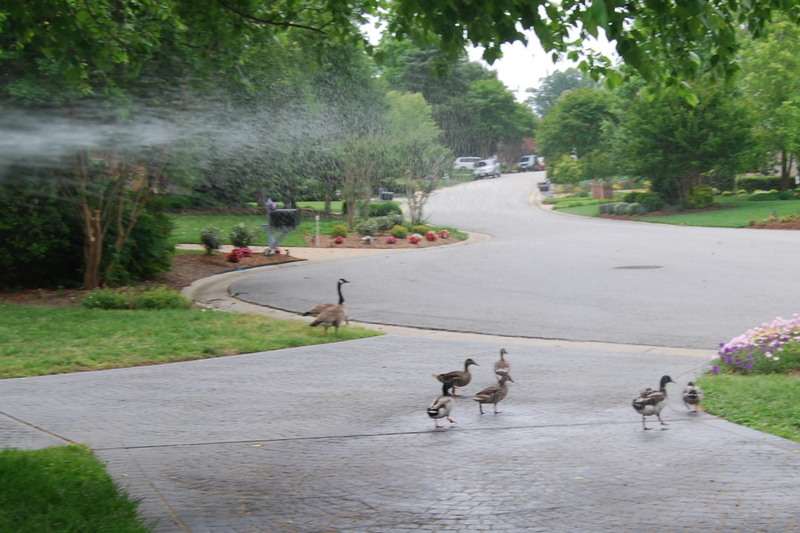 Having my garden hose nearby, the phrase “like a duck to water” crossed my mind. But one of the girls seemed to enjoy the little shower. A bit of a show-off, don’t you think? 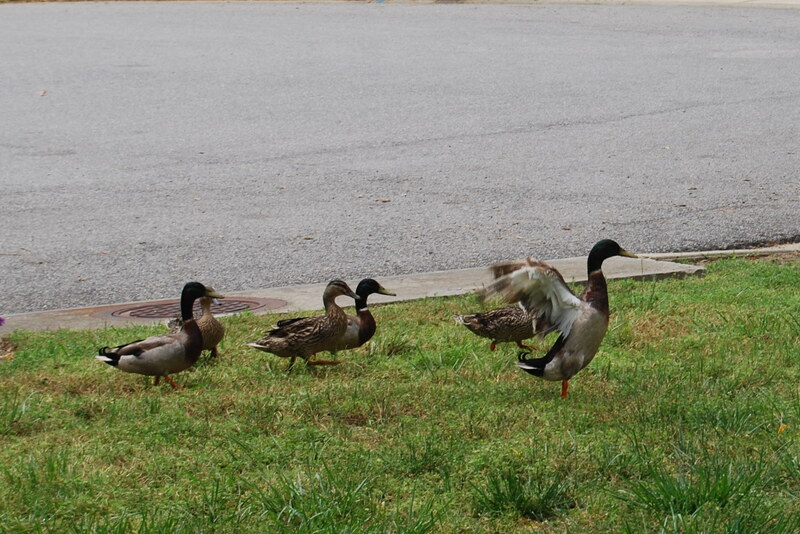 They waddled across our yard and back to the river.